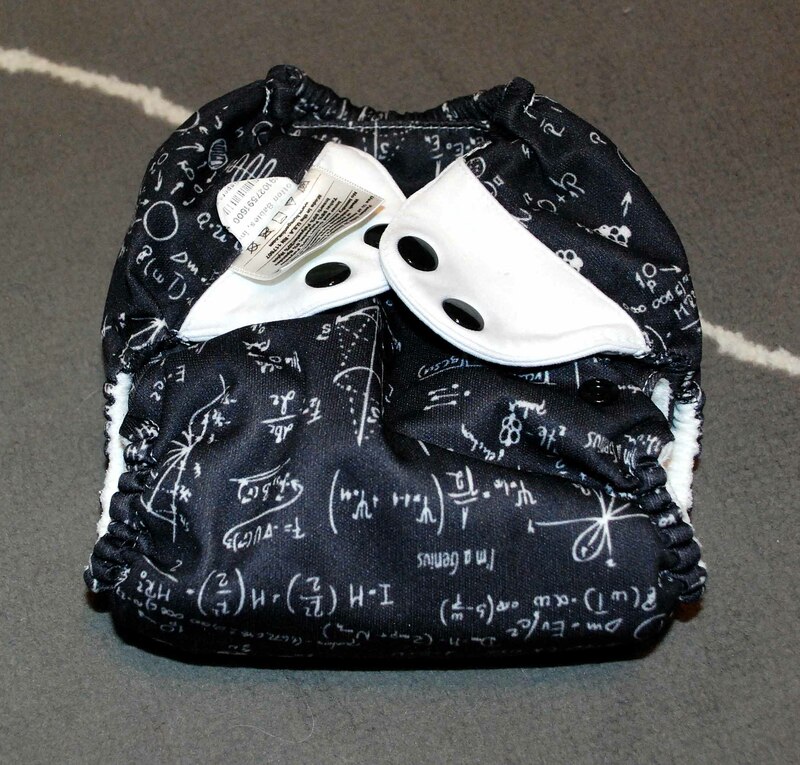 I mainly bought this diaper because of the Albert print. 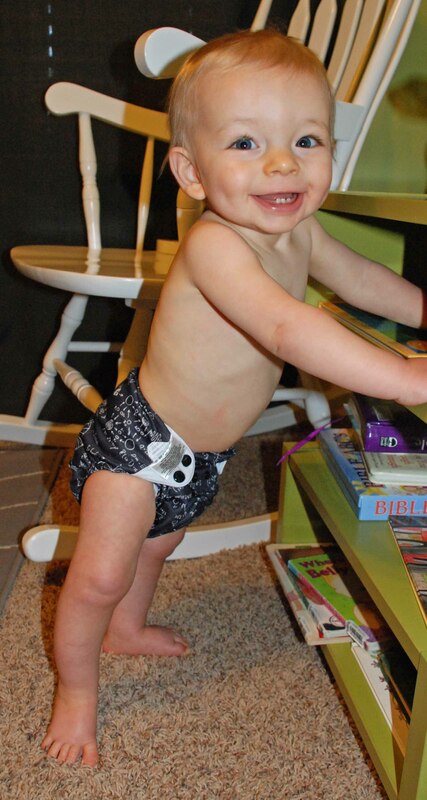 I actually preordered it last winter not realizing it was an All-In-One (AIO) diaper. Who can resist this print, right?? Ok, so I have only owned one other brand in an AIO style, so I don’t have a ton to compare it to, but maybe my opinion will be unbiased? Here’s the interior of the diaper. It has two stay dry flaps attached on each end. Here’s my baby in this diaper. The fit – this diaper just fits amazing. The two snaps on each tab allow for a waist and a leg adjustment which is really nice. 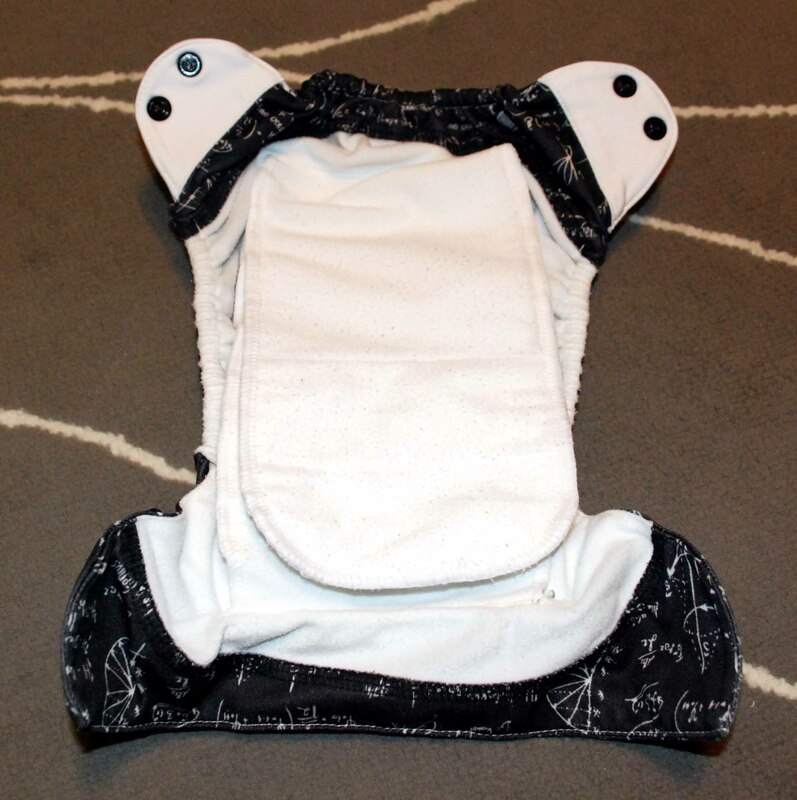 The dry time – with the two flaps that come out separate from the diaper it is one of my fastest drying diapers, which is fantastic. The AIO feature – It’s nice not to have to stuff or add an insert, just grab and go. 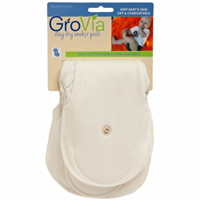 It’s also really nice for sitters or those that are a little afraid of cloth diapering. It’s easy to use and pretty self explanatory. The flexibility – If I do need to add an extra insert or booster I can. The flaps make it easy to add one if I need it for a longer trip to the store or a longer naptime. The print!! Oh this print!! They do have some cute other girly prints, and have come out with some cute bolder solid colors as well.The flexibility – I can add a booster/insert to increase the absorbency for a long trip or longer naptime. The absorbency – This is not my highest absorbency diaper, but it’s definitely not my least absorbent either. And I will leave you with another shot of my babe in the Albert print.